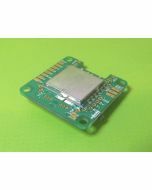 • Features the latest accelerometer and gyro technology (ICM20602) via SPI connection. • Built in amperage/current monitoring sensor, 110A. • Telemetry support (FrSky, SmartPort/S.PORT, IBus, etc). • 5 Serial ports. e.g. Receiver + Telemetry + 3 Spare - None shared with the USB. • Race transponder built in - just turn up at a race and have your lap times recorded. • Boot button for easy DFU/USB flashing. 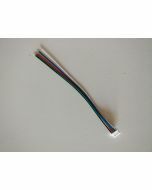 • Wire up using solder pads for ESC connections and cable or header pins for receiver. • 6 output lines for ESCs and Servos. 4 are arranged for easy wiring on each corner of the board. DShot/OneShot/Multishot/PWM supported. 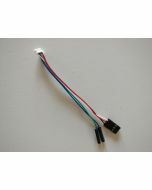 • Supports direct connection of 3.3v Spektrum Satellite receivers via 3 pin through-hole JST-ZH connector. • Dedicated output for programmable LEDs - great for orientation, racing and night flying. • Voltage monitoring for battery, 12v and 5v supplies. • Buzzer port for audible warnings and notifications. • Developer friendly debugging port (SWD) unbrickable bootloader. • Symmetrical design for a super tidy wiring, just 4 wires per corner to each ESC and you’re done! 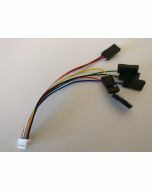 • Through-hole solder pads AND solder-less connections for receiver via PicoBlade connector. 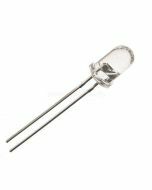 • Through-hole solder pads for Transponder IR LED. • Solder pads for RSSI. 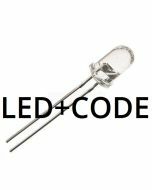 • Solder pads for LED Strip. • Solder pads for ESC signal and ground. (2 by each corner). • Solder pads for 2x additional PWM outputs (e.g. for pan / tilt servos). • Direct connection for XT60 socket. (Through hole). • Flashing via USB or serial port. • Standard 30.5mm mounting holes, board fits in most 36x36x mounting spaces. • Board is 45x50mm with corner cut-outs to allow frame clearance. • LEDs for 3v (Blue), 5v (Green) and 12v (Yellow) supplies. • Two status LEDs (Red, White) for easy diagnostics/flight mode indications. F4 Processor for even faster loop times! • OSD with customisable layout. • VTX with 0/25/200mw output. • 40 Channels, with raceband. • Button for changing VTX channel/band/RF power/power/etc. • Configurable via cleanflight configurator, via the NEO USB socket. 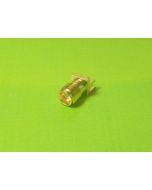 • u.FL socket for antenna connection, gold plated. 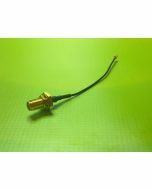 • Available without VTX module, so users can use external VTX or alternative compatible VTX modules. • VTX can be turned off remotely (e.g via transmitter). Great for team races or in-pit configuration. • Solder pads for 5V, 5V switched, 3.3V, 12V, Video IN/OUT, Audio, GND. • Breakout 2.54mm pitch though-holes for connecting to UART1 on the NEO - e.g. for Bluetooth/Wifi modules. 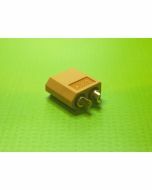 • 2.54mm Through hole pads for connecting Buzzer (controlled via NEO). 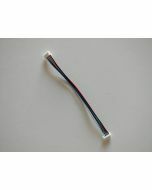 • 2.54mm Through hole pads for connecting 12V devices. • Though hole pads for JST-ZH sockets (supplied) connecting CAMERA an EXTERNAL VTX boards. 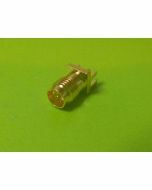 • Solder pads for PCB side-mount antenna JACK connection (when not using u.FL connector). • CAMERA and EXTERNAL VTX sockets power selectable between 5V and 12V. • Hole for accessing the boot button (via paper-clip) on the NEO below it. 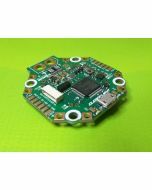 • Board is 36x36mm with standard 30.5mm mounting holes. • 12 position connector for stacking above the NEO. • Blue LED for 3v3 power. IMPORTANT: The OSD, OSD/VTX. Battery Connector, Receiver Cable, Antenna connector, are all optional extras. Please add them to your cart as required. You will not receive optional extras unless you add them to your cart and purchase them. IMPORTANT: The F3/F4 NEO are no-longer shipped with receiver cables, please ensure you add one to your purchase as required. It's awesome, buy it now and be the envy of your FPV buddies when they see your new build!